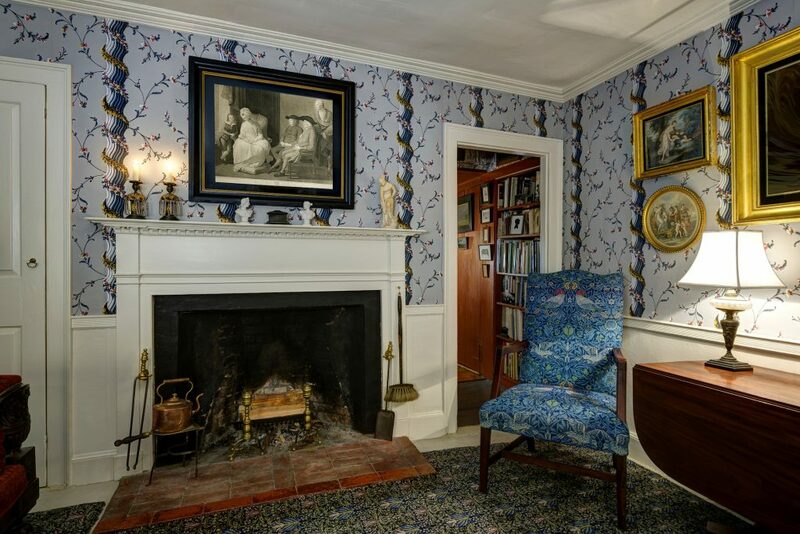 The Elmwood Floral pattern is from the Cambridge, Massachusetts mansion of Thomas Oliver, built in 1767. 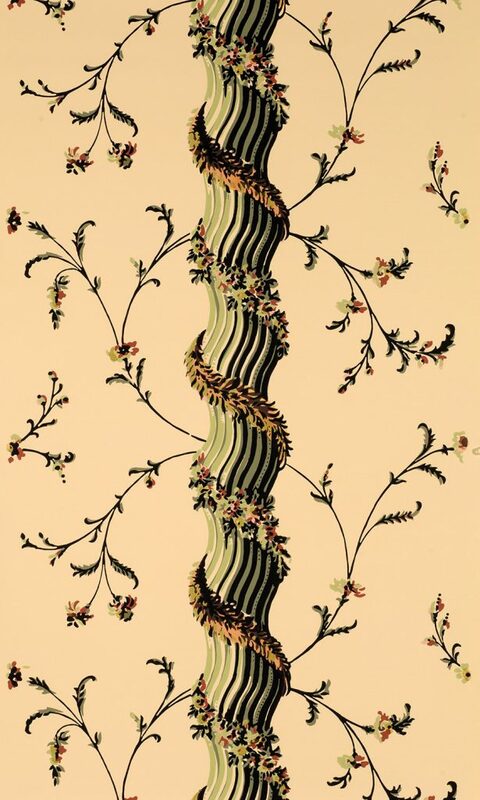 It was the first of three layers found in the parlor behind a mid-19th century bookcase. Because of the absence of a tax stamp on the reverse of the original document, it is unlikely to have been an English import. 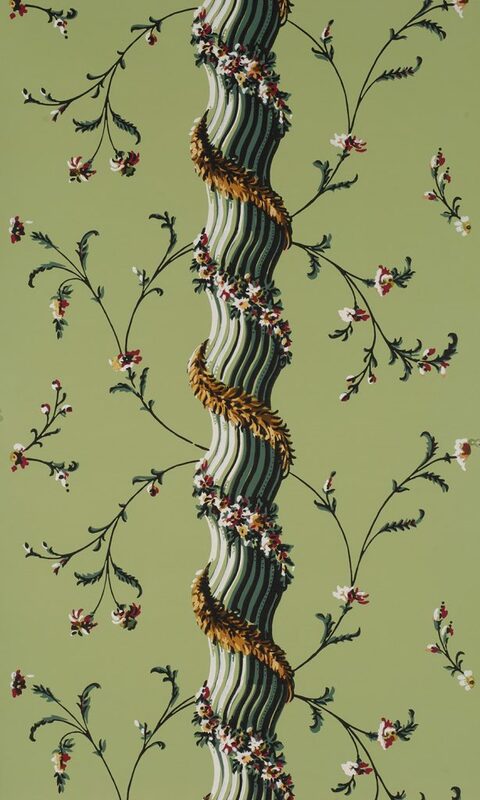 This charming flower and column design, which couples a sinuous central column with delicate vines, suggests that it could be the work of a French printer. However, in all probability this was a domestically produced pattern as indicated by the naïve rendering of specific color areas. 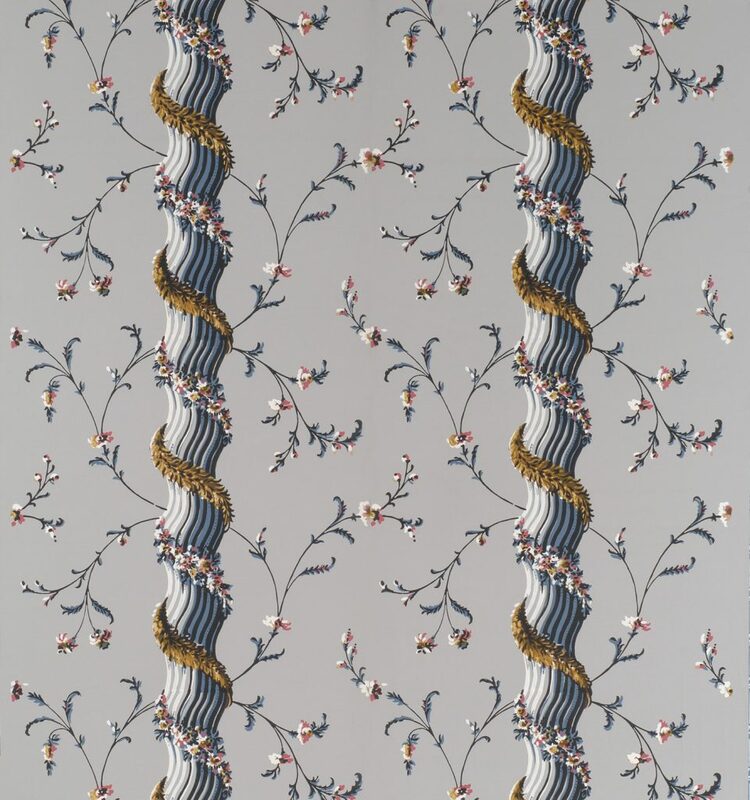 Despite this lack of formal sophistication, Elmwood Floral is a striking pattern that creates a surprising illusion of three dimensional open space. 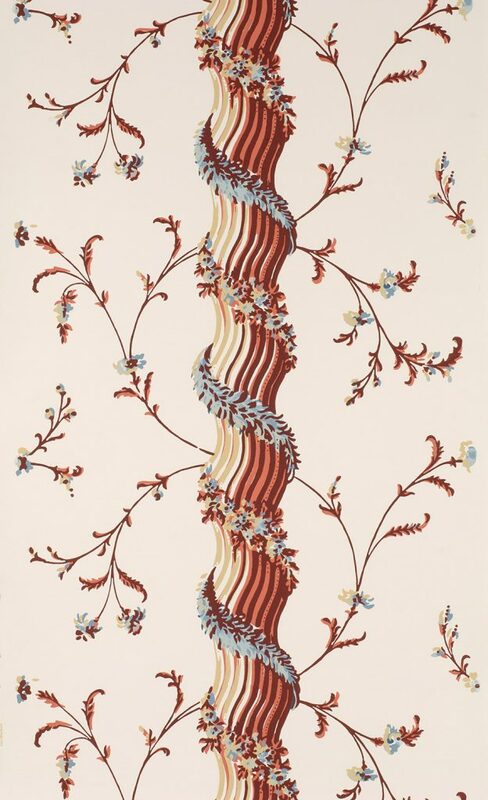 Imperial Measurements: Repeat 20 ¾ inches, width 21 ⅛ inches, length 11 yards, straight match. Metric Measurements: 52. cm, 53.7 cm, 10 m.